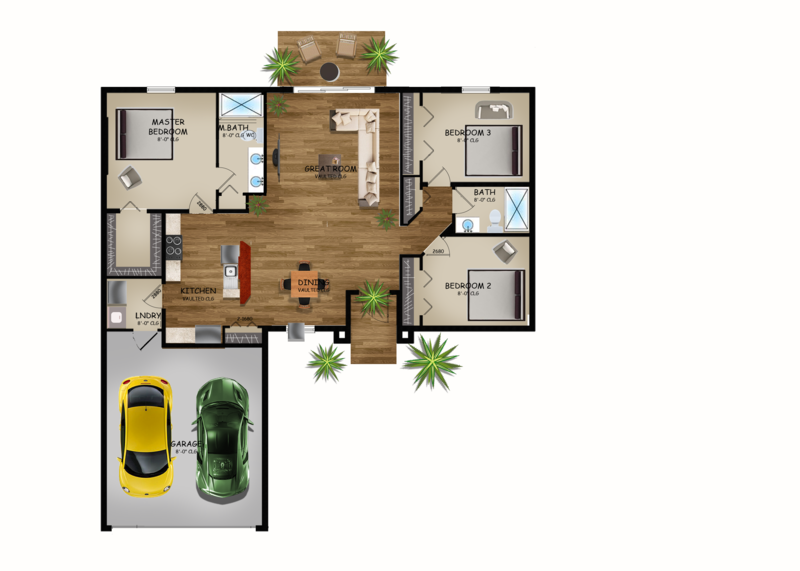 Gorgeous 3/2/2 Split plan. 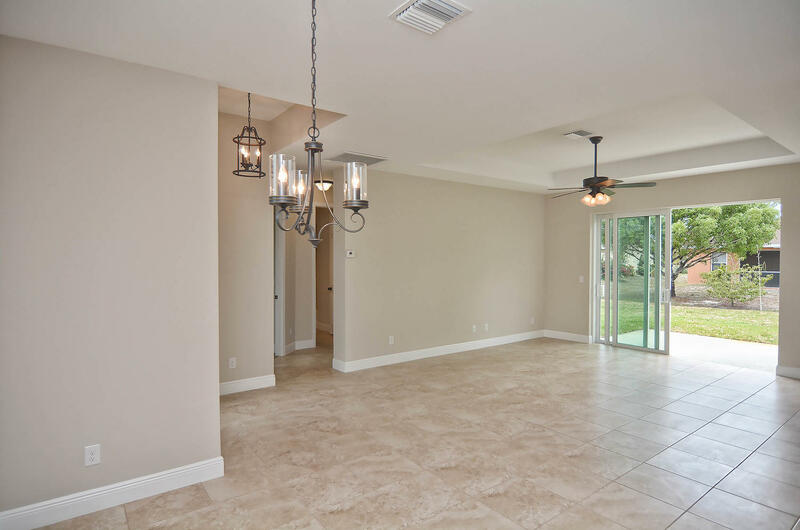 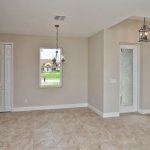 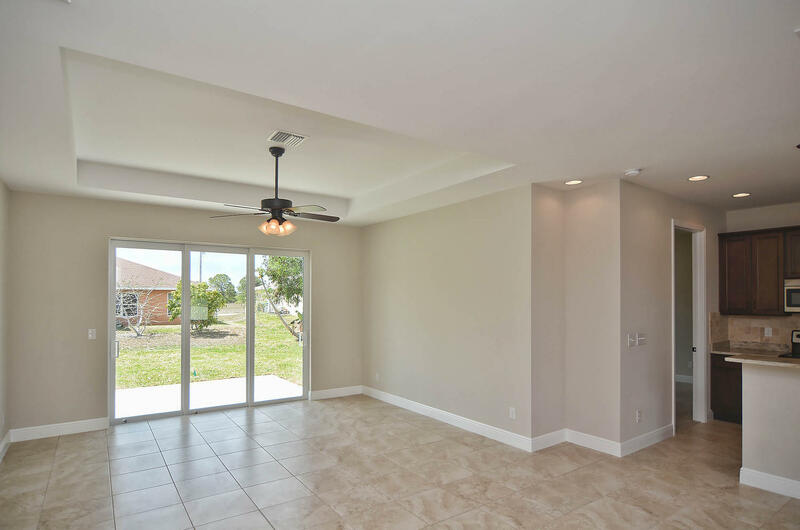 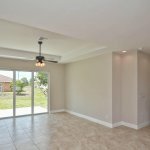 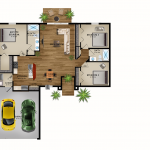 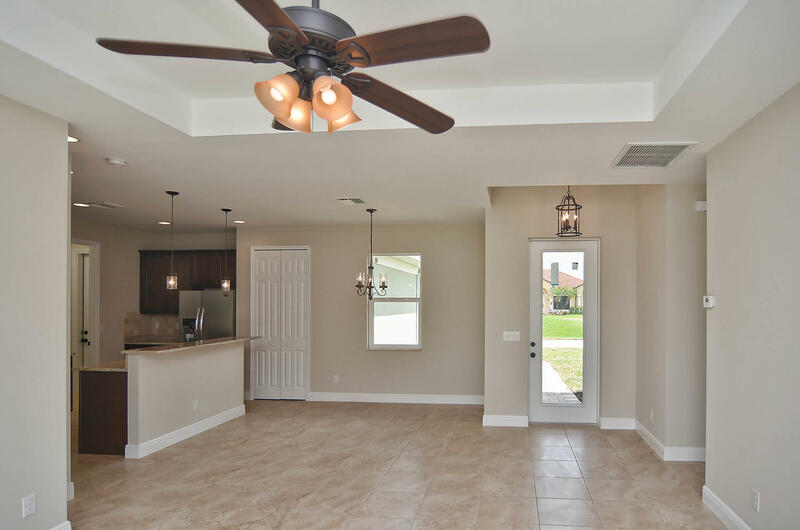 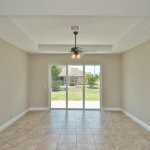 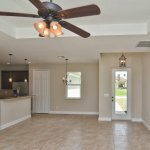 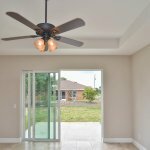 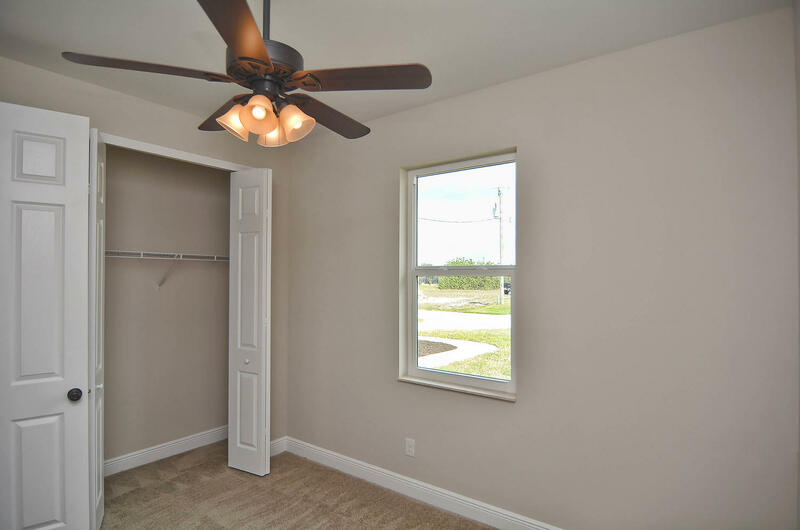 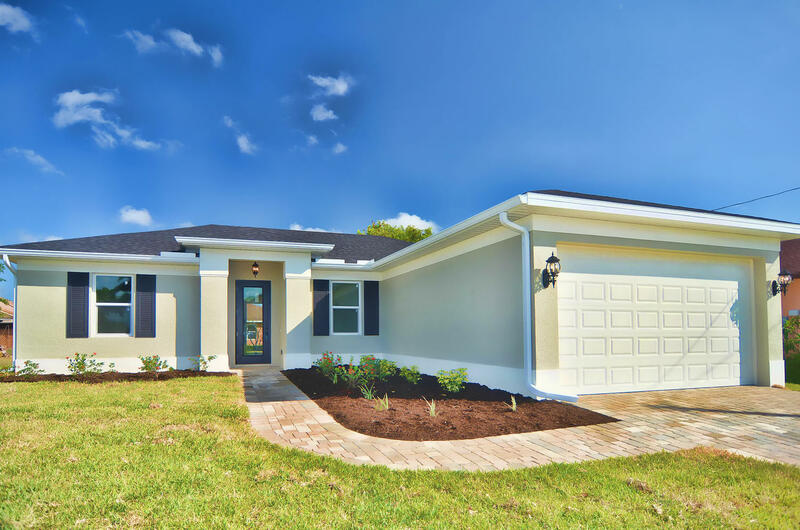 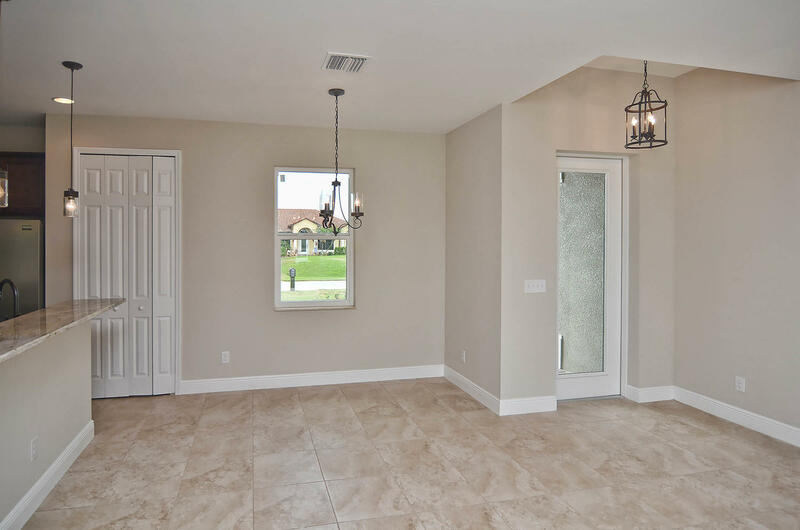 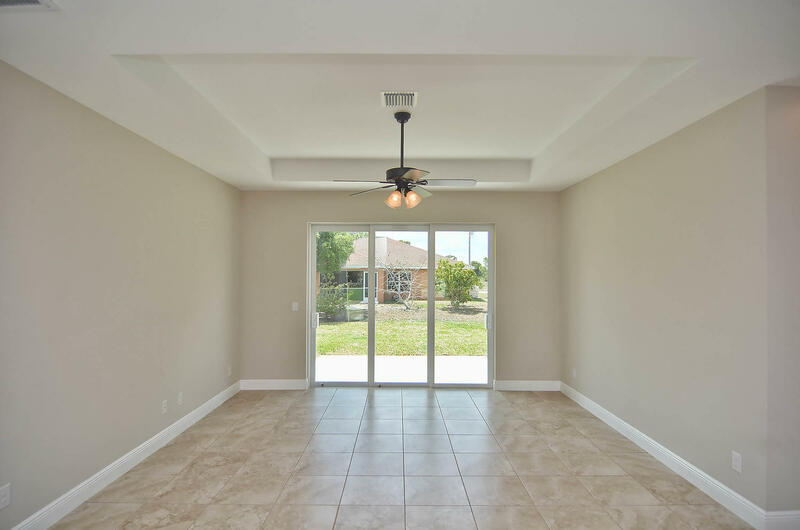 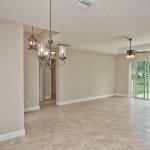 Upon entering the 10’8″ foyer, you will come upon an open floor plan that makes the most of every space while the whole house enjoys high ceilings. 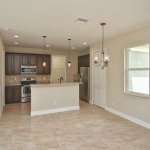 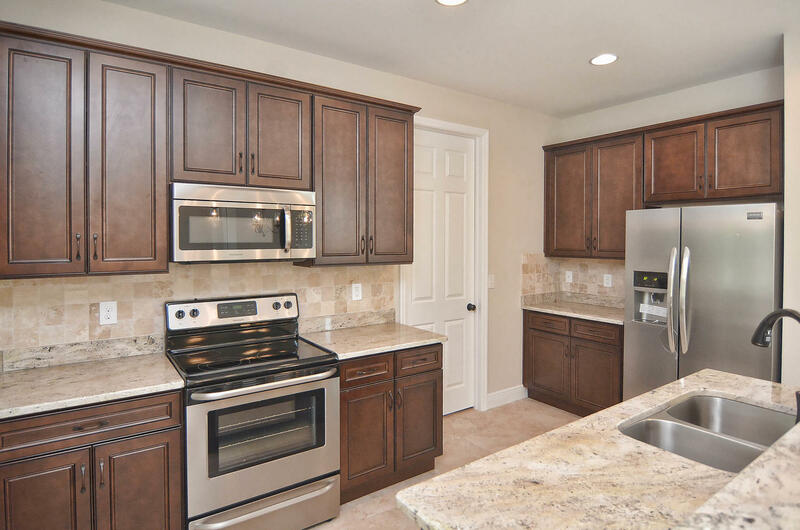 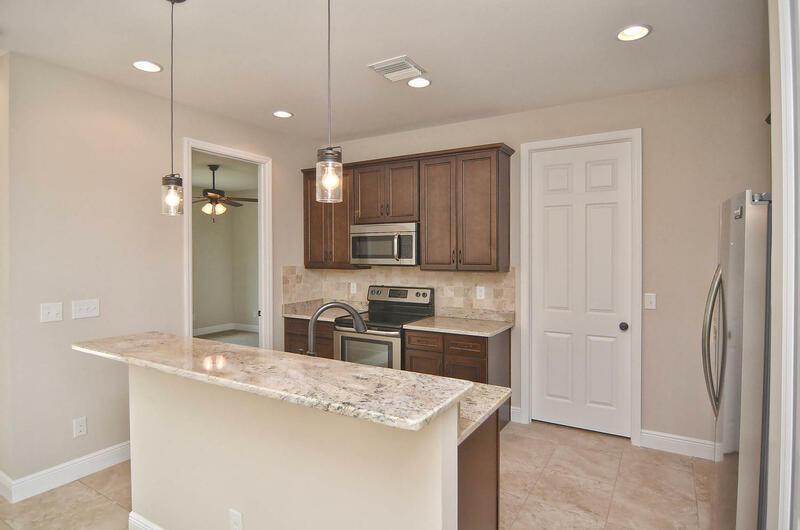 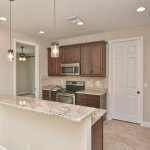 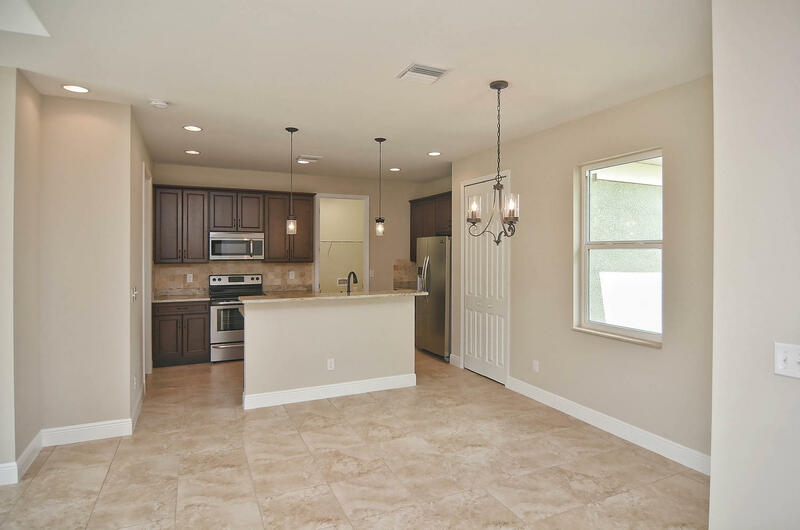 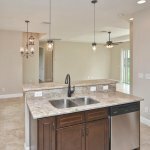 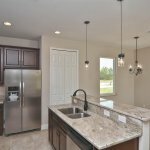 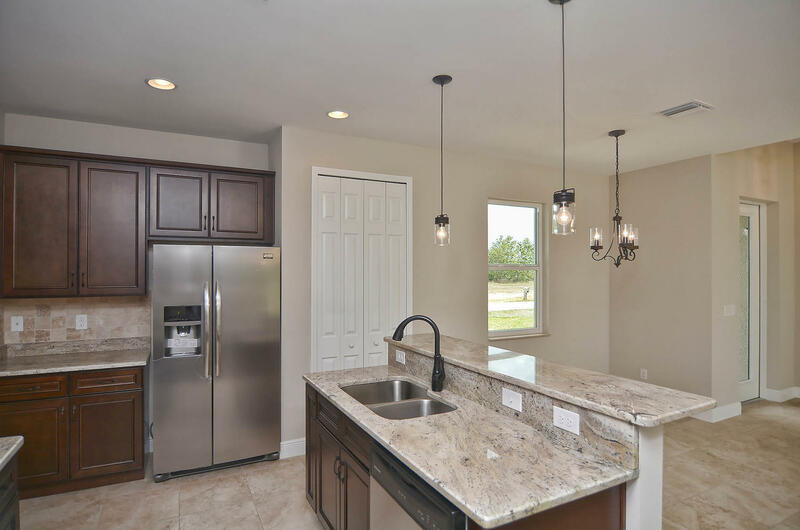 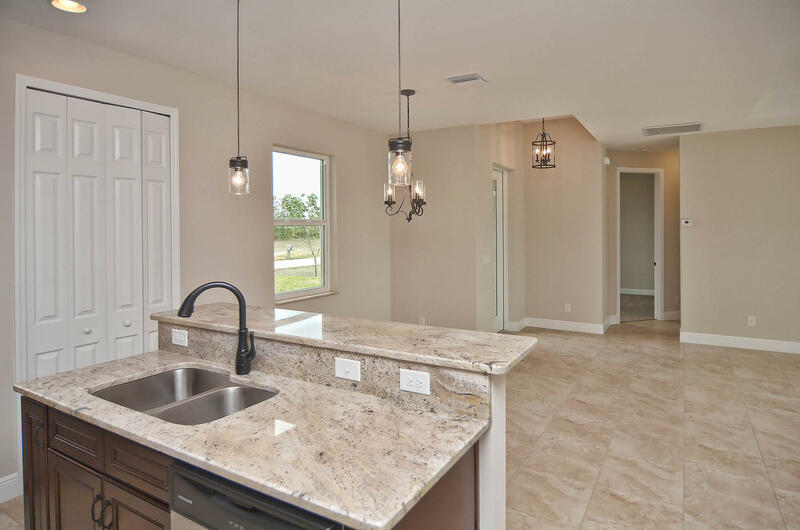 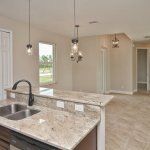 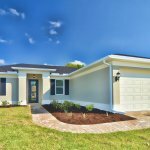 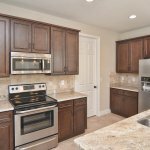 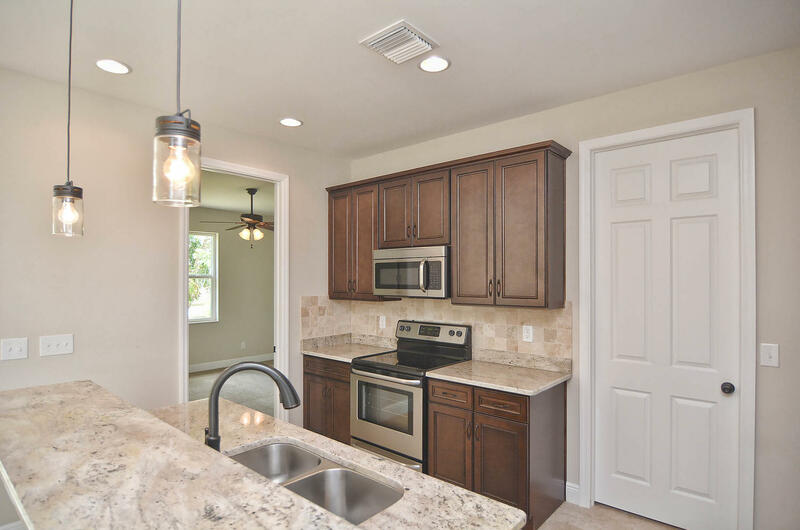 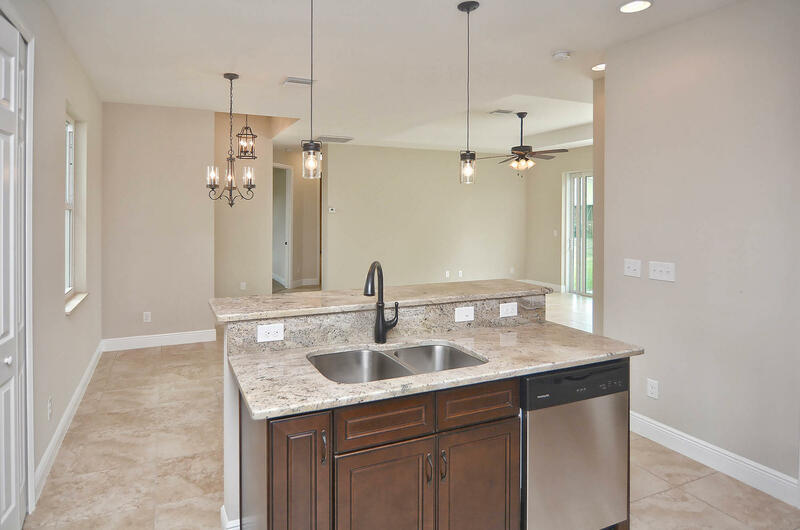 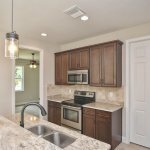 Kitchen welcomes you with Brazilian granite, travertine backsplash, stainless steel appliances, an island with a breakfast bar, and bristol york chocolate hard wood cabinets with soft-close drawers. 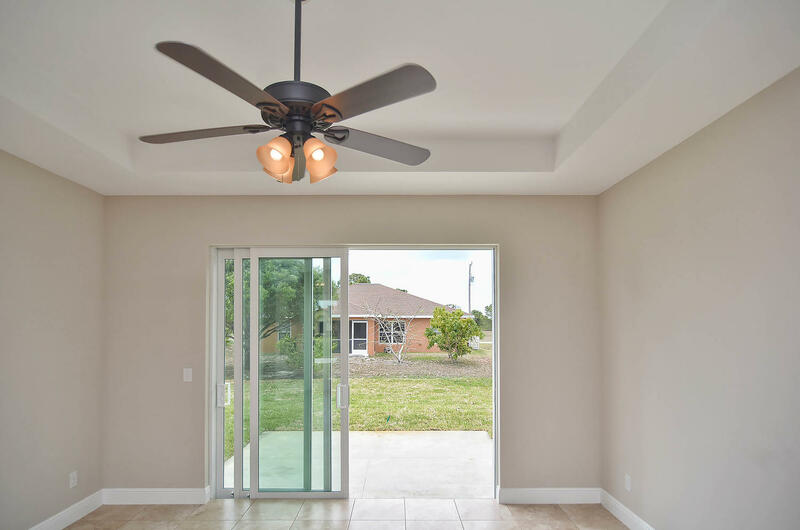 Dinette is open to the great room enhanced by 14′ tray ceiling. 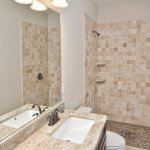 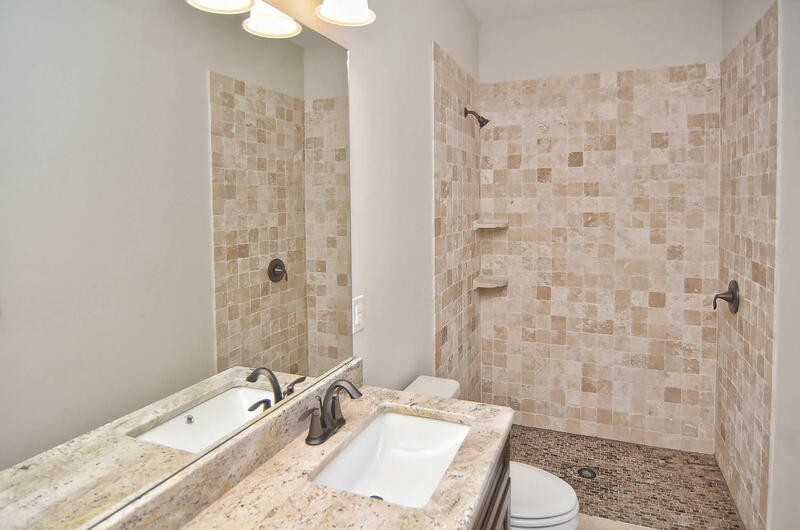 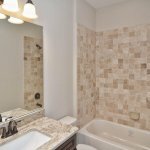 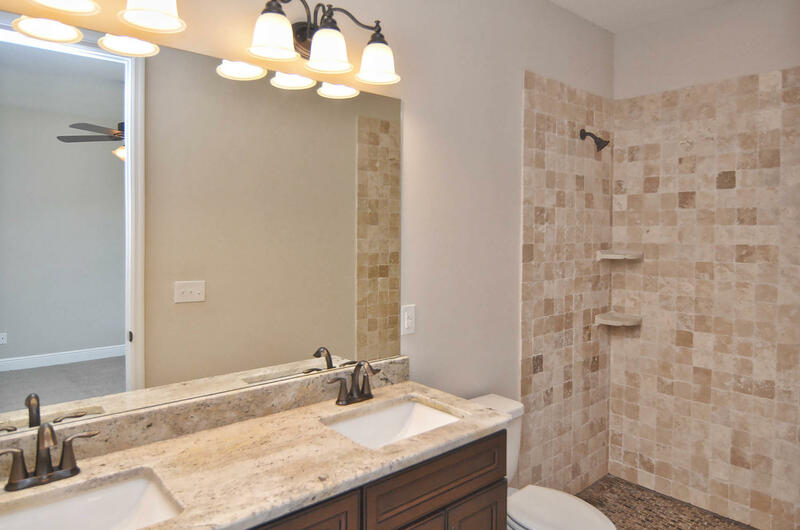 Master bed has a walk-in closet, double vanity, and travertine floor-to-ceiling shower. 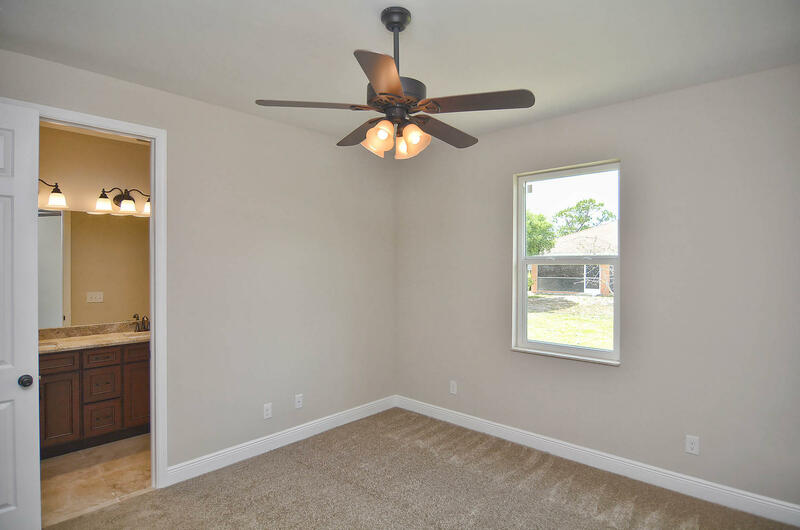 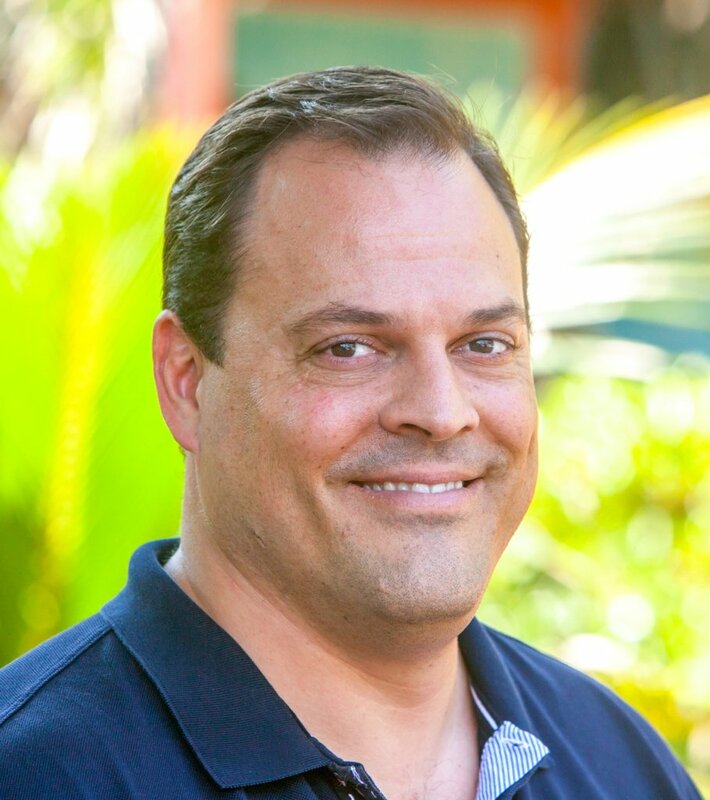 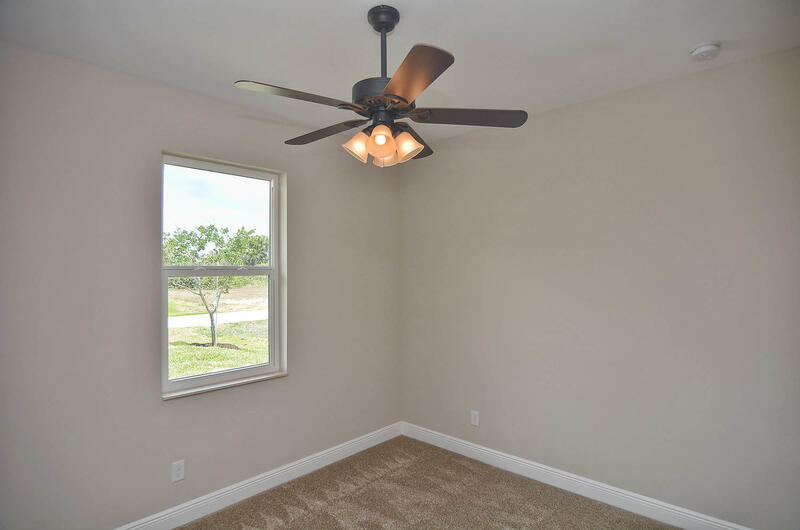 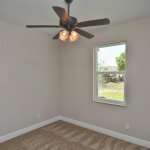 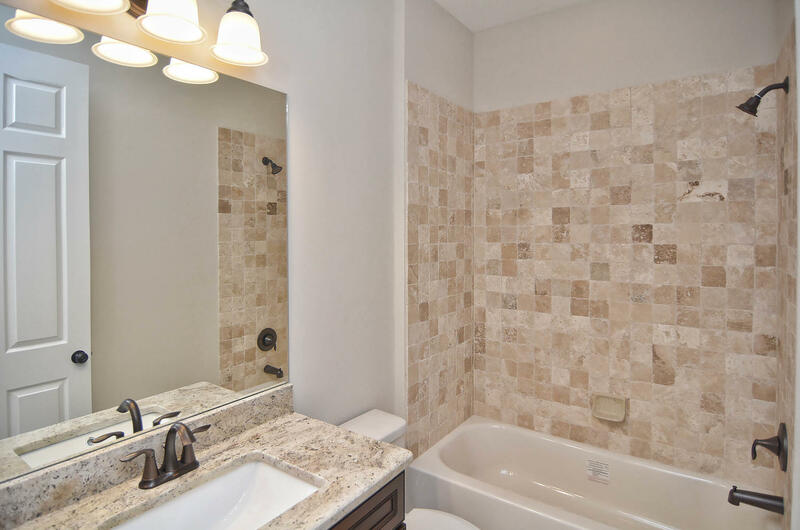 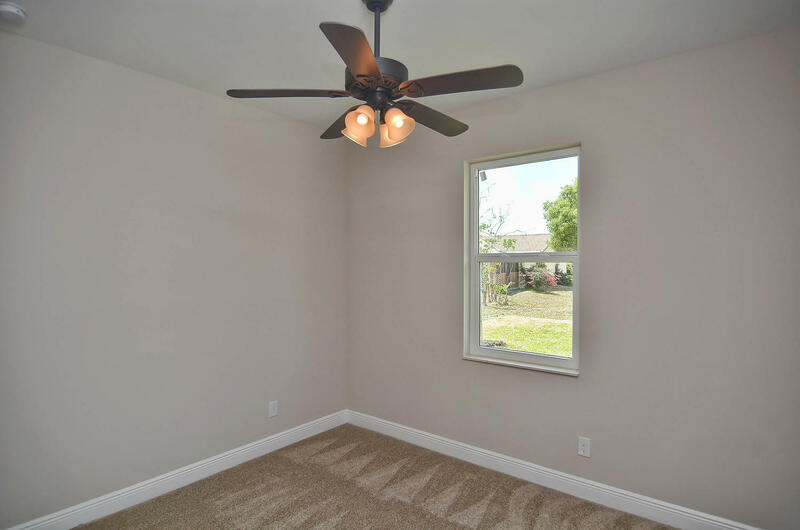 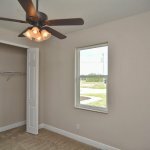 18″x18″ ceramic tile except for carpet in bedrooms. 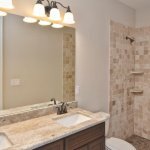 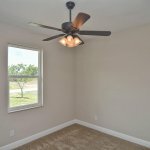 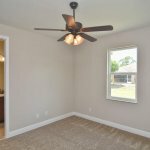 Finishing touches include antique brass faucets, ceiling fans, hardware & lighting to give this home a cozy, modern feel.